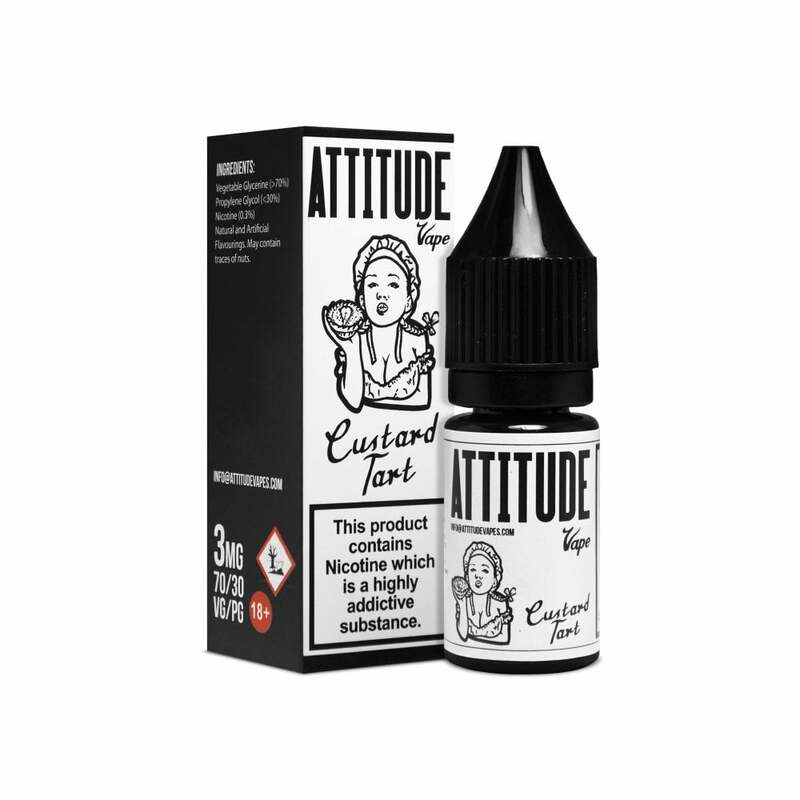 Custard Tart from Attitude Vapes is a bite into warm, baked tart with a silky, smooth accompaniment of buttery vanilla custard cutting cleanly through a flaky pastry base. All these flavoursome favourites rolled into one dessert lovers delight; Custard Tart e-liquid will get your taste buds tingling. We also sell Custard Tart short fills. Best custard tart juice I've tried. Sweet creamy vanilla and pastry flavours. One of my all time favourites. This a great all day vape. Nice and sweet and creamy but not sickly. Definitely getting again.